On Saturday, October 11, we will boat up the Kwanza River to Muxima, and visit the site of a fortress built in 1599 on the banks of the river by the Portuguese to defend their access into the interior and act as the base of the slave trade. 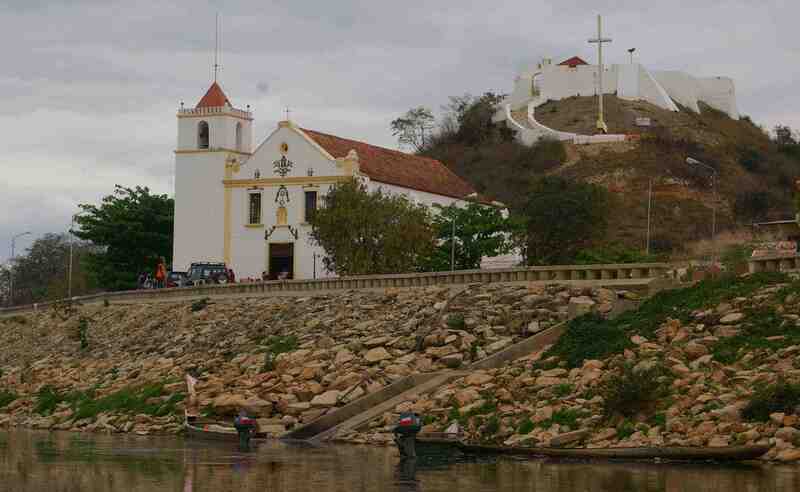 We will also see the historic church in Muxima, the spiritual mecca of Angolan Catholics. Thousands make a pilgrimage here every September to supplicate the 400 year old statue of Mama Muxima inside the church in what is reputedly the biggest annual religious pilgrimage in sub-Saharan Africa. To sign up email Henriette Koning at angolafieldgroup@gmail.com as soon as possible since space is limited. If you have space in your vehicle for passenger/s, please indicate. There are many vehicle-less people who would appreciate the opportunity to explore some of the countryside. Read on for details and more photos. We will depart Luanda at 6:30 AM and return around 6:30 PM. Our route: we will drive north from Luanda via Catete to the Kwanza River where we will park the cars (no 4 wheel drive necessary) and take a motor boat up the river for a relaxing hour and a half trip. We will be joined by Serafim Quintino who was born near Muxima and will give us some historical background on the area. Serafim works in community and cultural development and organizes the popular ‘3-day visit to a remote village’ Field trip. 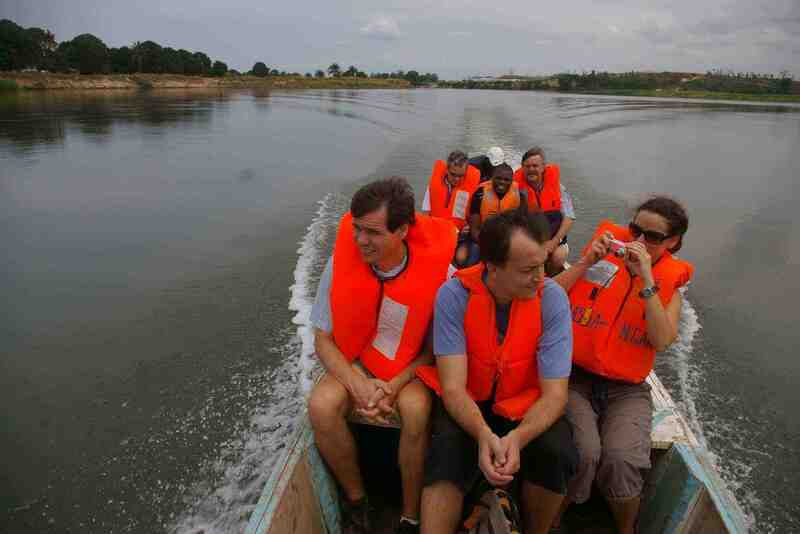 There is a fee of 2,000 kwanzas per person for the 3 hour round trip boat trip. You must pack your own picnic lunch and bring adequate liquid. There’s limited space for coolers on board. Also, you must have a passport and a valid visa to travel in the provinces. Notarized copies of passports and visas are unacceptable so if your documents are not in good order, then you should not sign up for the field trip. All Angola Field Group trips are taken at your own risk. Meeting point and further details will be provided once you sign up for the trip. 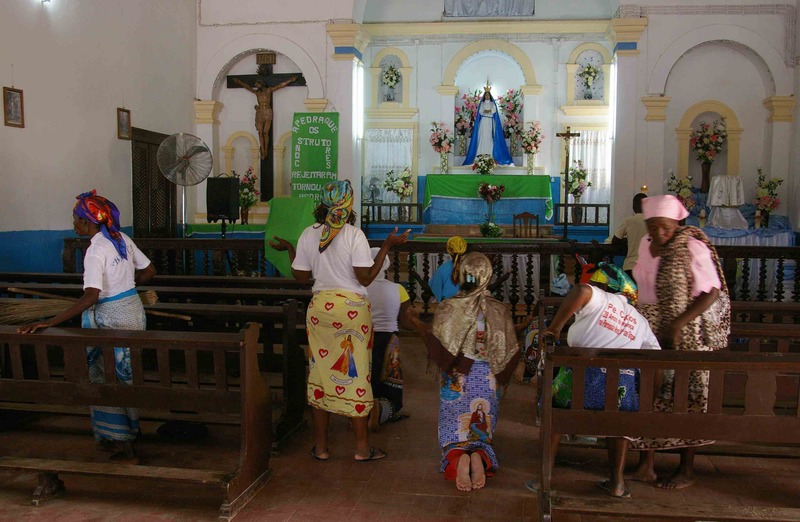 Devotees praying to Mama Muxima inside the church. A refreshing trip up the Kwanza River. 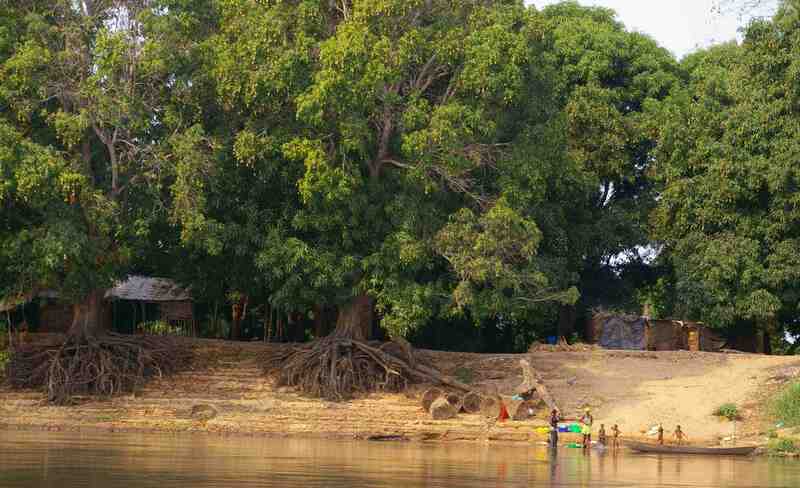 A small fishing village on the banks of the Kwanza. 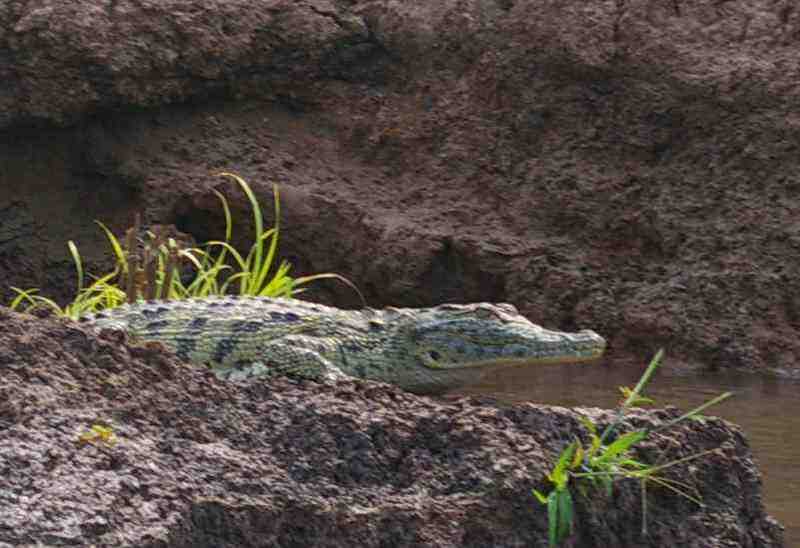 Crocodiles, monkeys, lizards and lots of birds can be seen on the boat trip.